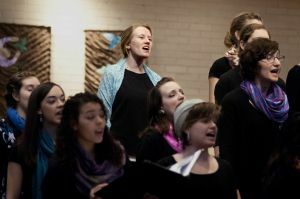 The Goshen College Women’s World Music Choir recently celebrated their 10-year anniversary with a February concert and a spring break tour in Pennsylvania. During performances, members wear vibrantly colored scarves and go barefoot as a way to feel connected to the earth and to women around the globe. (Photo by Alia Munley). 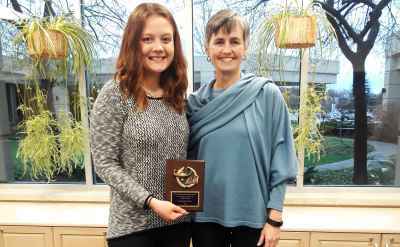 The first things Kate Friesen noticed about the Goshen College Women’s World Music Choir were their colorful scarves and bare feet. That distinctive look and sound has defined the Women’s World Music Choir for just over a decade. This winter the choir celebrated 10 years of global music making, having performed songs in 30 languages from all over the world – from Appalachia to Bulgaria to South Africa. 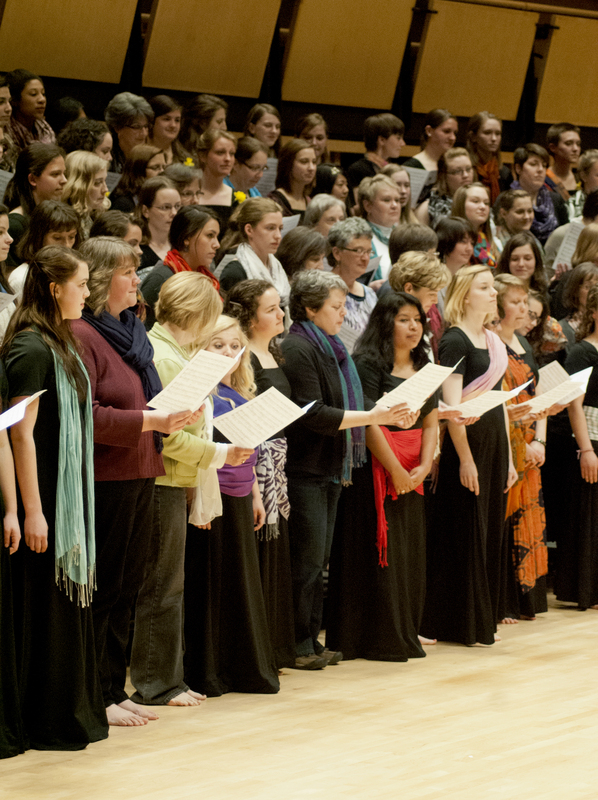 Directed by Dr. Debra Brubaker, professor of music, the choir avoids traditional choral pieces in favor of world music that showcases the range and power of the female voice, while also highlighting the role of women in cultures around the world. Many of the songs in the choir’s repertoire focus on the daily lives of global women, touching on themes like hard work, marriage, female friendships, nature, community and spirituality. The choir’s focus on telling diverse stories has shaped Friesen’s view of what it means to be part of a global community. For Dominique Chew, a junior English major from Hesston, Kan., the women’s choir fosters a community of strong women centered around music. Chew enjoys the annual spring Earthtones concert when choir members get to invite their mothers, grandmothers, aunts, sisters and female friends to join them for one of the songs. “Singing on stage with a ton of women who have helped to shape us into the women we are today is overwhelmingly empowering,” Chew said. 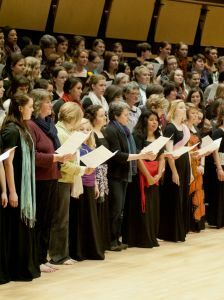 The women’s choir embraces the idea of community within the choir but also with their audiences, who they regularly invite to participate during performances. 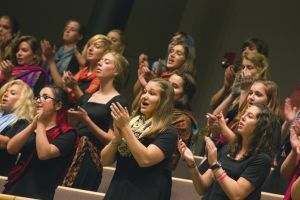 The choir recently traveled to Pennsylvania for their spring break tour, and one of the benefits was getting to see how people respond to their music on a closer level, Brubaker said. When the choir performed at an inner-city school in Philadelphia, the young audience sang and danced along enthusiastically. 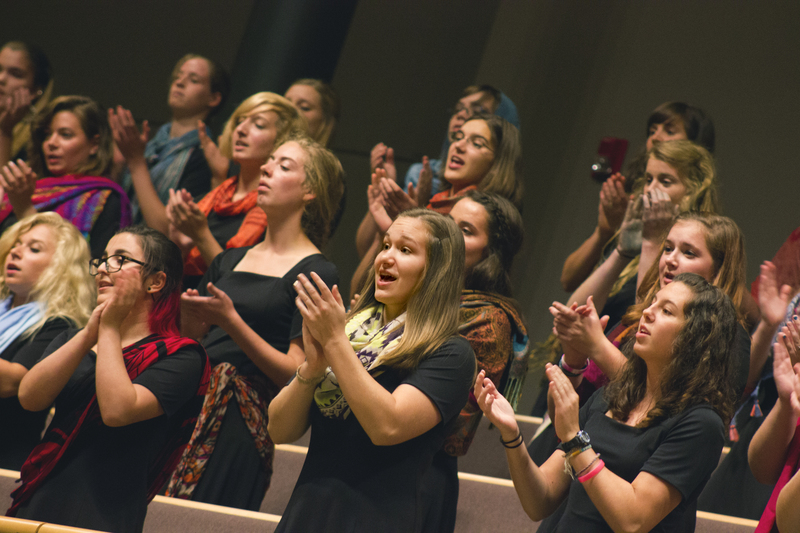 By reaching out to diverse audiences, Friesen believes the women’s choir exemplifies the college’s core values of global citizenship and compassionate peacemaking. In addition to promoting community through music, the women’s choir aims to celebrate the spirit and energy that women bring to the world as creators and sustainers of life and art. And that starts with their voices. During rehearsals, Brubaker uses tai chi and other techniques to push the choir to use their whole bodies when they sing. Choir members laugh when she asks them to pretend to dig for potatoes as a way to open up their bodies through the hips, but it works, she says. Friesen believes that singing from that deep place extends beyond choir practice. 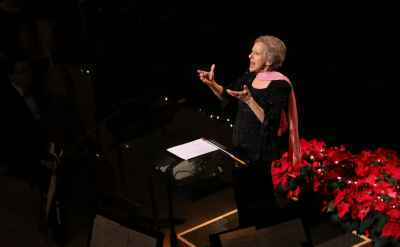 “In an environment that empowers women to use all of their voice in singing, it also allows a woman to use her voice in all aspects of her life,” Friesen said.